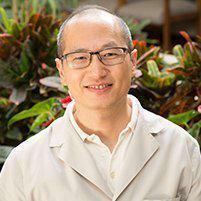 As a leading dentist in Gardena, CA, Dr. Peng offers cosmetic bonding to help correct minor defects like chips, cracks, stains, uneven or worn surfaces, and gaps so patients enjoy great-looking smiles. Cosmetic bonding is a procedure that adheres special tooth-colored composite resins materials to the surfaces of damaged teeth. Bonding is used to correct cracks, pits and discolorations, and it can also be used to change the shape of teeth and to close unattractive gaps. Many patients prefer cosmetic bonding to crowns because bonding requires less of the tooth material to be removed before the bond material is applied. It's also less costly than porcelain veneers. How is cosmetic bonding performed? Before the bonding material is applied, the tooth surface must be etched to enable the adhesive to create a strong bond. Etching is performed using a mild acid solution to “rough up” the surface. Once the surface is properly prepared, a composite resin is applied and shaped to match neighboring teeth, then a special curing light is used to harden the material and help it bond to the surface. Once the material has hardened, a final polishing helps it look its best. Most cosmetic bonding procedures can be completed in a single visit without pain or discomfort. Cosmetic bonding materials are very durable, designed to withstand the rigors of chewing and biting. The average lifespan of bonding material is about four to eight years, depending on where the bonding is applied and how well you care for your teeth. Some cosmetic bonding results can last much longer than eight years, and touch-ups can be performed to keep them looking and functioning their best. Do cosmetic bonds require special care? No, just regular brushing and dental visits to ensure the bond remains strong. Although composite resins are designed to be resistant to stains, it's also a good idea to rinse well after eating foods known to stain so the material continues to look its best.